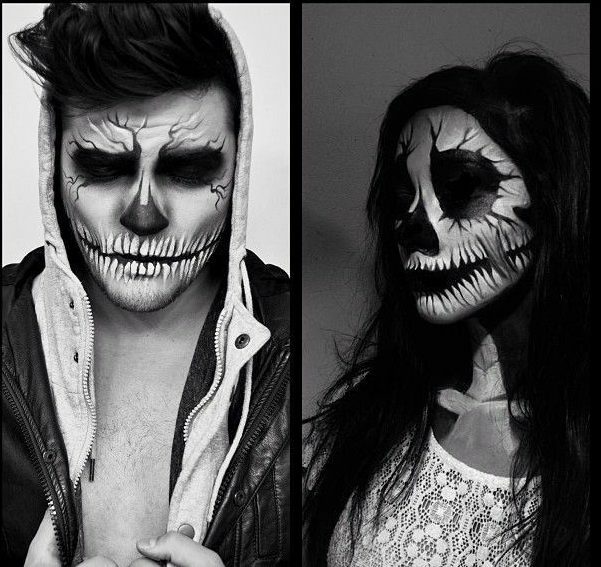 Whilst Halloween is a great time of year, for those who struggle with costume or make-up ideas it can be a relatively stressful time. After all, you are going to want to make sure you make an impression, but, for most people, you are going to want to still look great. Particularly if you are heading to a party or event. There are plenty of people who will pop a pair of cat ears on and call that their outfit, but what about those of us who want something a little different? Something that is really going to stand-out. 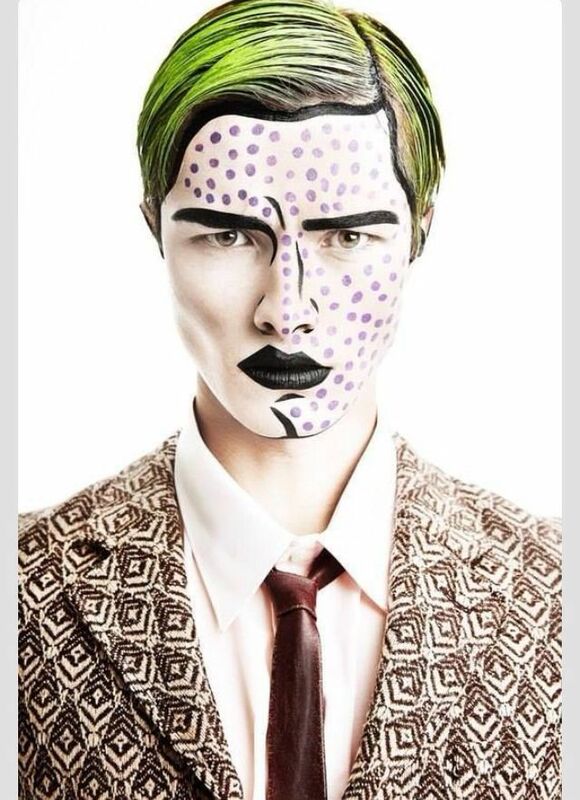 These people are going to want to get some make-up inspiration to really make sure that they don’t blend in. 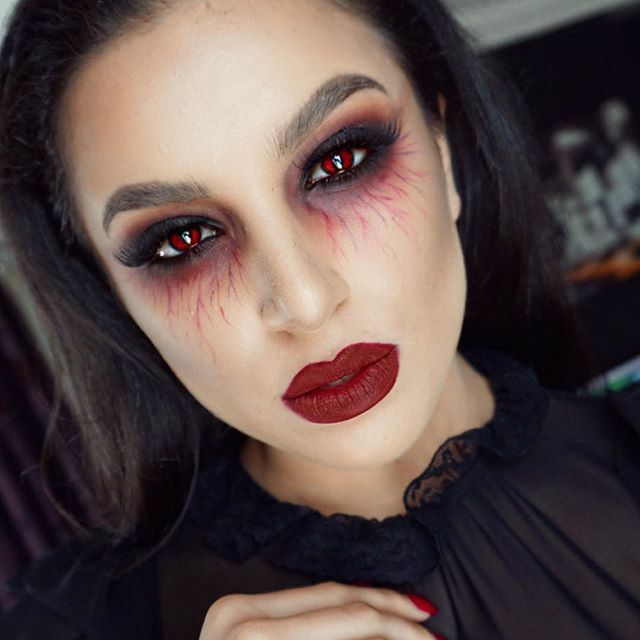 To help inspire you, we have put together some of the best Halloween make-up ideas for 2018. 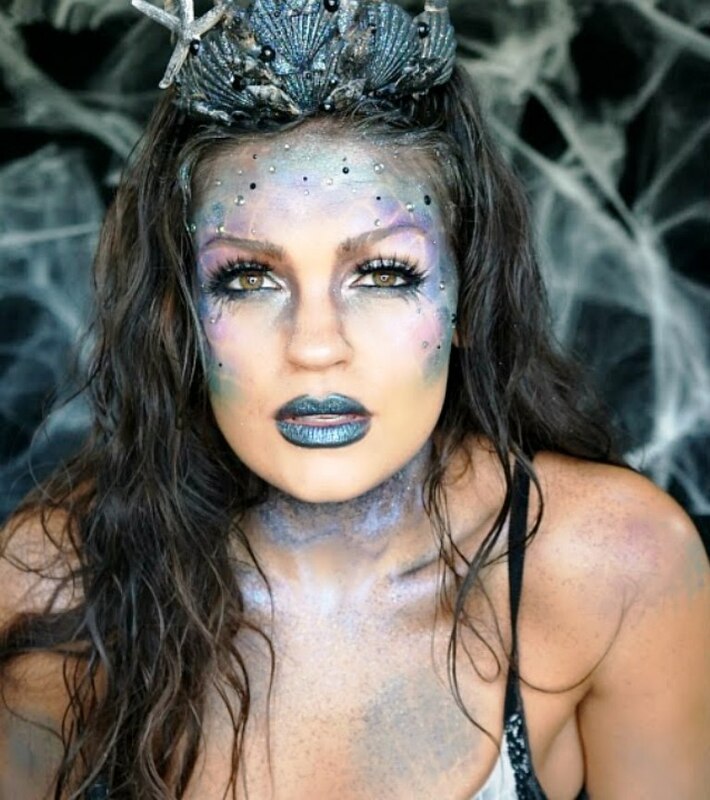 All to make sure that you look and feel amazing come to your Halloween party, event, night out or simply just if you are planning on trick or treating with your kids. 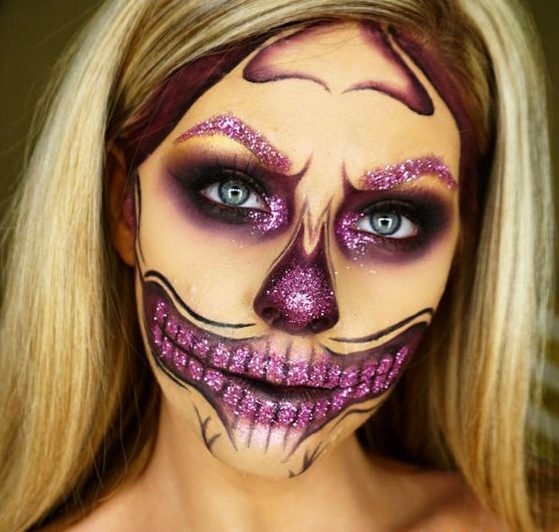 Glitter might not seem like it is particularly terrifying, but given a Halloween twist it can be pretty impressive. 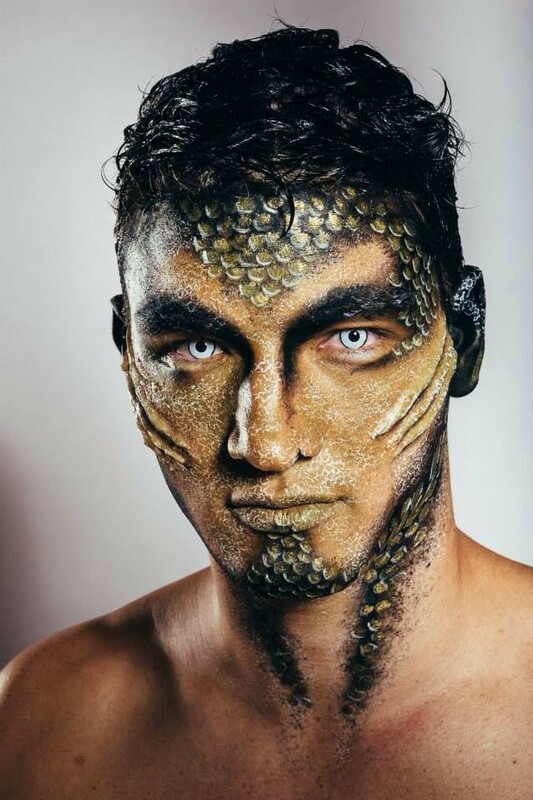 Mermaids are a great Halloween option, sure, they can be cutesy, but if you mix in some darker coloured glitter, maybe even with a drop or two of fake blood, then you are going to create a sea monster that is going to have people fishing to find out how you created your look. Now, this may seem like an obvious one, but more often than not, the old ones are the best. 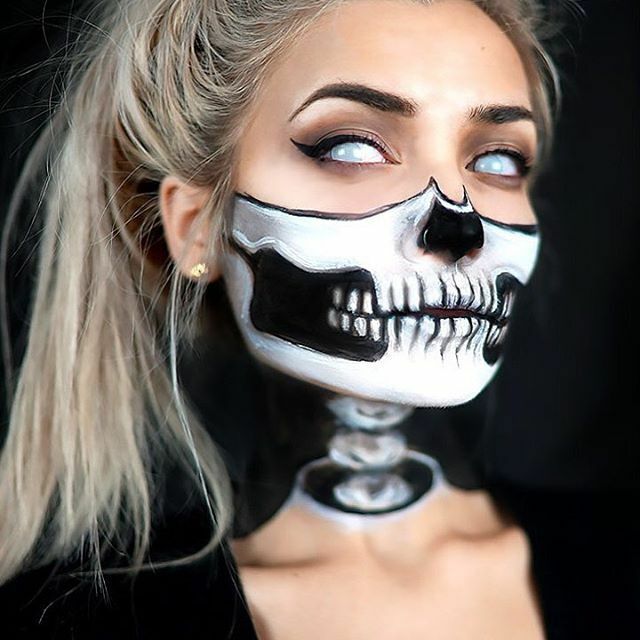 The great thing about skull faces is that they are easy to mix with a suit or something black, making a Halloween costume, not to mention the fact that there are so many variations and styles out there to choose from, that you can definitely make sure that you put your own spin on things. You can also use this as the basis for a couples costume idea, as it works for both men and women. 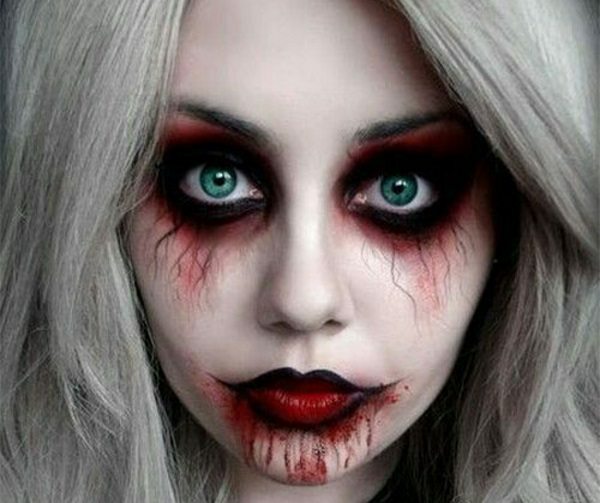 Not for the faint-hearted, not only is this make-up style pretty darn terrifying, but it can be tricky to do too. 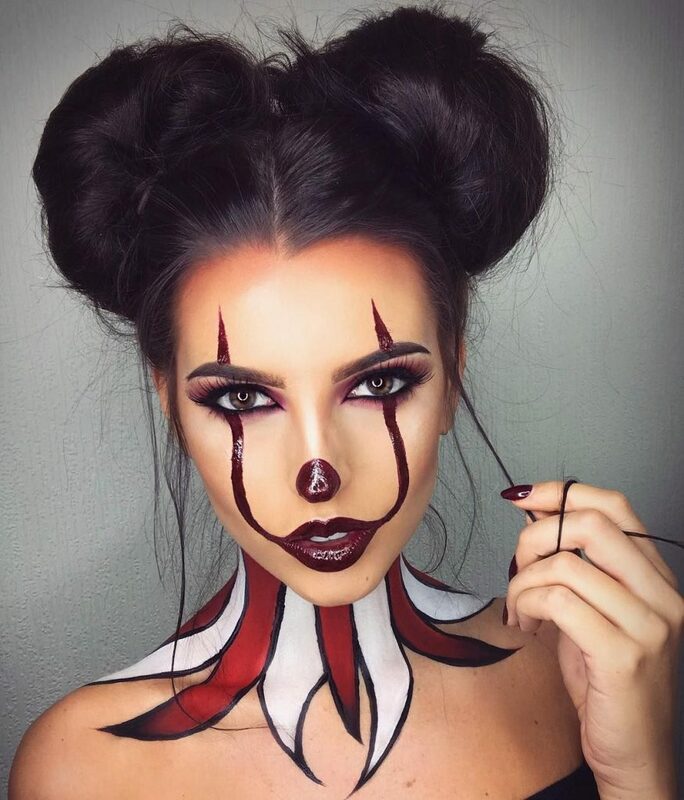 There are lots of guides online to help you to recreate this monster clown look, but you may find that you need to give yourself plenty of time to try and recreate this (or even better, find someone else who can do it for you). There seems to be more and more doll based horror films at the moment, which means that dolls are becoming scary again. 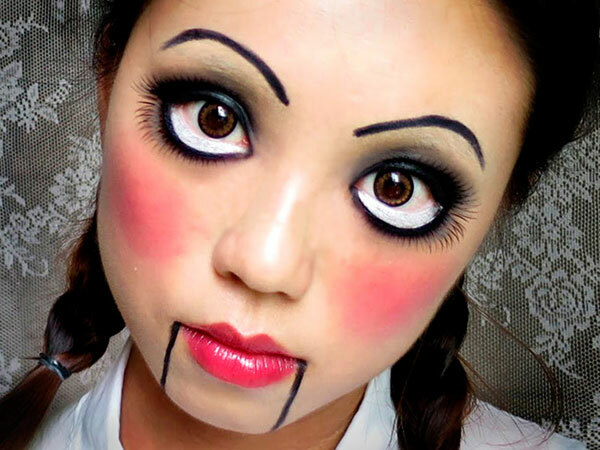 You can opt for a simple doll face make-up if you are short on time, just don’t forget the red lips and freckles. 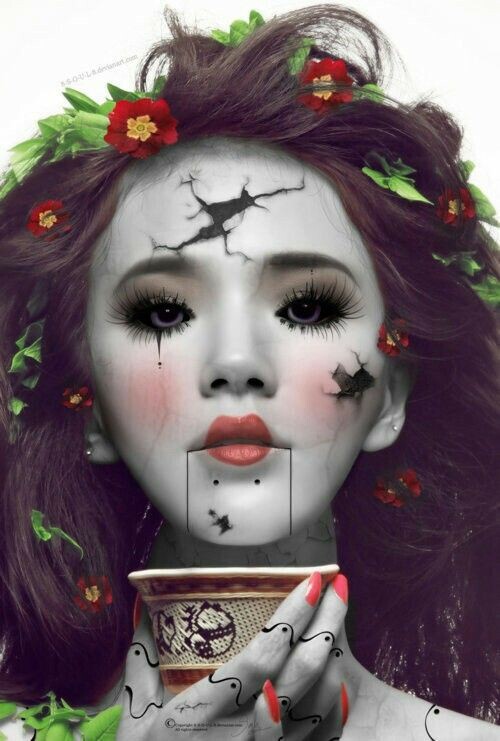 However, if you want to give it a spooky spin, then why not opt for a broken doll instead? It is the same base, but you add in plenty of cracks and lines to your face, which can make your face appear even scarier. 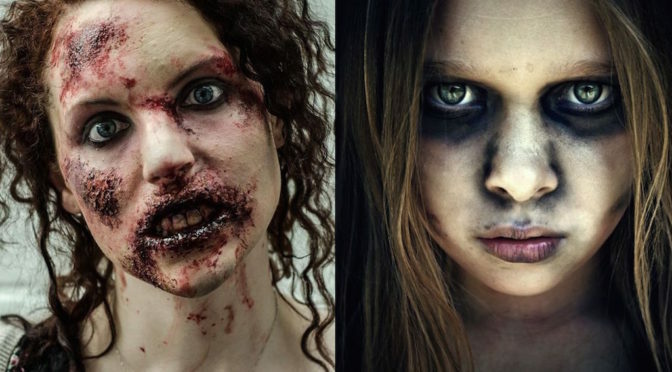 Zombies may seem obvious, but there is a reason why they keep appearing in the Halloween make-up rundown time and time again. Zombies are scary, that is a fact, and there is so much that you can do with this style that it is easy to customise. 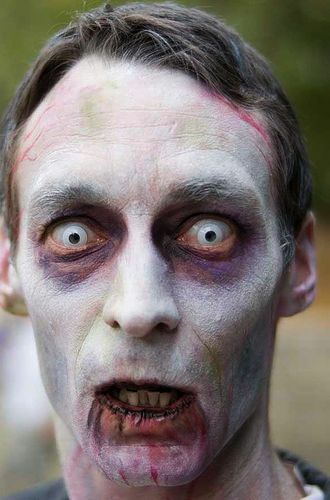 Some may opt for a Walking Dead realistic zombie, whilst some may decide that a more cartoony, green zombie is a better approach. 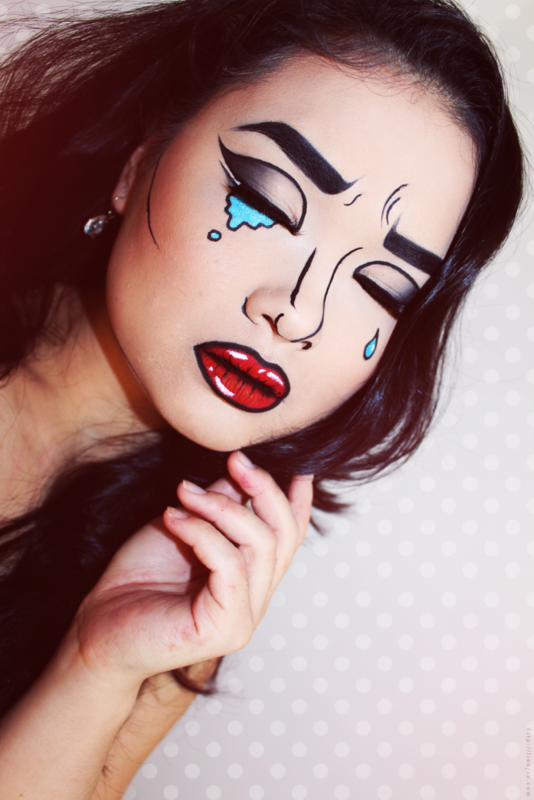 Most of us love the art prints made famous by Andy Warhol, however, you might not realise that you can bring this look to life using some careful make-up techniques and a whole lot of bright colours. We really like this idea for a party as it is not only different, but it is a sure-fire way to get noticed too. For those who are short of time, or are not feeling particularly creative, a vampire might be the best option. For this look you are going to need incredibly pale skin which you then need to team with bright red lipstick and some dark and dramatic eyes. 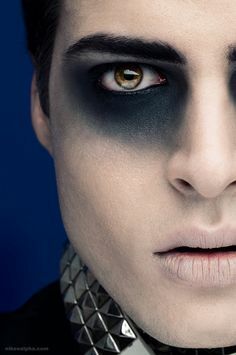 Then you will be one step closer to creating a vampire look which will have Dracula himself impressed. 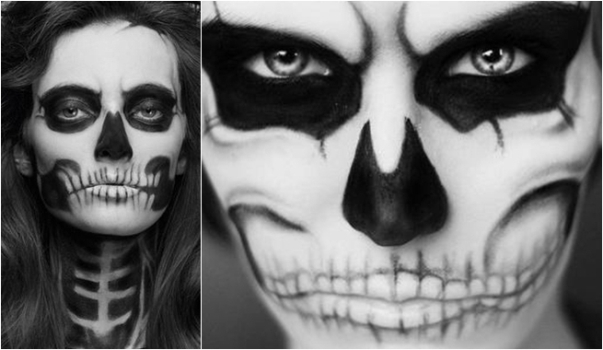 We hope that these ideas have helped to inspire you for your Halloween plans. The trick is to try and think about not only what you can do, but also the amount of time that you have. You also want to think about the type of event or party that you are going to, as you are going to want to keep it suitable. 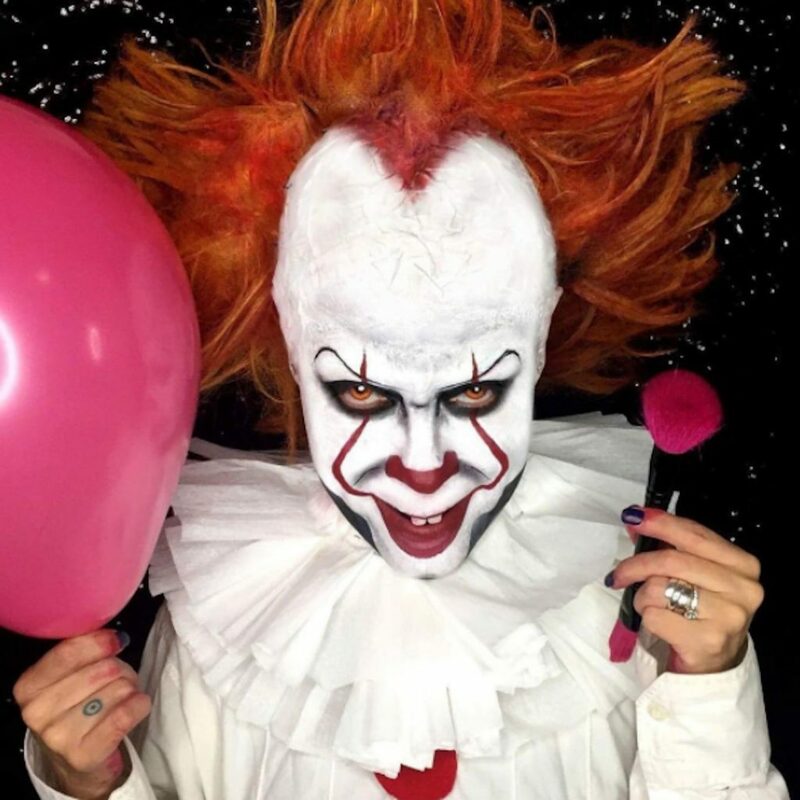 If you think that you could do with some support when it comes to making the most amazing Halloween look, then you might want to come and check out the Halloween event at Aer Blowdry Bar. We have organised a spooktastic time on Saturday the 27th of October. 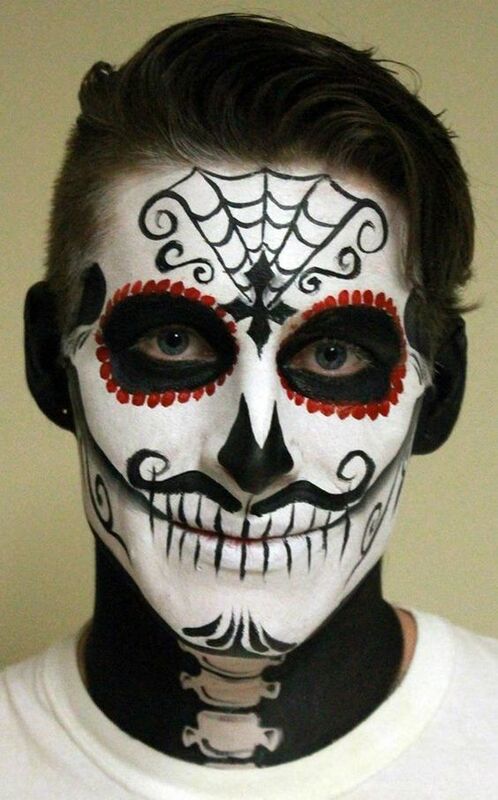 Not only will you be able to book in to have your hair styled by one of our amazing team, but we are also offering appointments with a beautician, for amazing Halloween nails and slots with one of the 5 make-up artists who will be transforming guys and girls into ghosts and ghouls. If this wasn’t enough we also have Prosecco and a party atmosphere, which means that you are sure to leave our London based blow dry bar, not only looking great but also ready to hit your party or event too.